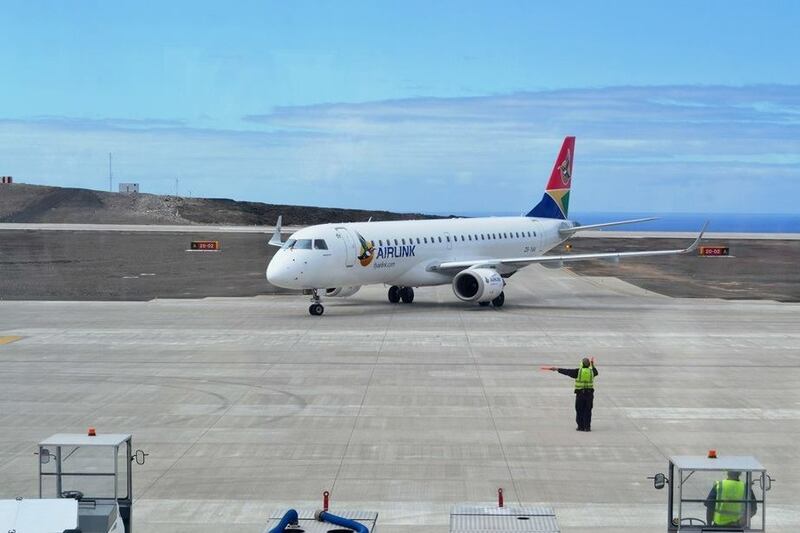 Because of the prevailing favourable weather conditions and relative low elevation above sea level the Walvis Bay International Airport will henceforth serve as a refueling stop for flights from Johannesburg to St. Helena Island. SA Airlink announced that its aircraft will use Walvis Bay on the scheduled flight to the island in the South Atlantic to perform an en-route technical fuel-stop rather than the Hosea Kutako International Airport at Windhoek. The new scheduled refueling stop will start in the first week of April this year. With Walvis Bay located at 300 feet above sea-level and with cooler meteorological conditions compared to Windhoek at 5 600 feet above sea level, Airlink will benefit by being able to accommodate an additional 11 customers between Johannesburg and St Helena Island. Currently the flight is restricted to 87 seats including six business class seats on departing from Windhoek due to high temperature and high airport elevation. St. Helena is a 47 square mile sub-tropical paradise, with rolling hills and a rugged coastline, prime terrain for walks and hiking. Jamestown, the capital of the remote island of St Helena, retains much of its remarkable heritage and tells the story of colonial conquest, slavery, the age of sailing ships, war and exile. St. Helena Island has an incredible range of wildlife, and a unique range of plants and animals found nowhere else in the world. One of St Helena’s greatest attractions is its unique culture and most famous for being the setting and backdrop for the final chapter of Napoleon’s life. Construction work on the new airport on the island was completed in 2017 but because of severe wind often prevent aircraft to land immediately upon arrival. It has been reported that aircraft have to circle the airport for up to an hour until the wind becomes favourable enough to land. 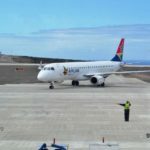 According to SA Airlink the flight schedule between Johannesburg and the island will remain the same. The return flight from St Helena will normally operate non-stop.